The halcyon days of global and industrial supremacy may be long gone, but there are still some areas where Britain is leading the world, and when it comes to the deployment and use of wireless networking technology, we're still at the top of the pile. We can give thanks to the byzantine British public sector for much of this investment, and as a reseller, if you want to do well in wireless, then it's an area you should be targeting, says Tim Close, managing director of wireless distributor 802 Global, which is just announcing new vendor partnerships with WiMAX specialist Alvarion and rugged wireless solutions developer Ubiquiti. "The public sector, education and health, are natural targets," he says, pointing to the multi-site operations run by local NHS trusts, or the mobile nature of teachers and pupils moving around school campuses. "In social inclusion projects, such as bringing broadband to disadvantaged children, it's a cost-effective way of delivering high-quality services to social housing projects. Enable estates for wi-fi, then use low-cost receivers to get tenants online," he explains. Close cites statistics suggesting that the proliferation of cheap mobile handsets means that up to 70% of fixed-line outlets in council houses are never used, so installing wi-fi also allows poorer families to skip the hefty connection charges levied by BT. Close also suggests the UK's obsession with video surveillance could be an ideal jumping-off point. Whatever your views on the proliferation of CCTV cameras in towns and cities, they all need connecting to something if they are to function, and if you're going to be selling a wireless network for that, you should be adding other services to the mix. Phil Belanger, vice president of marketing the business development at WLAN vendor Extricom, says that the imminent ratification of the 802.11n standards later this year is driving interest outside the public sector too. "It will become more reliable, and hopefully people will now begin to put more mission critical apps on wireless," he says. "But the challenges for enterprises will be to rethink the WLAN. More mission critical applications will mean more stress on the network, and a need for new tools and technology," continues Belanger. 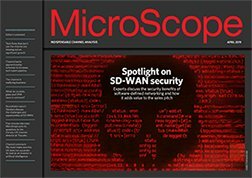 "Sharper resellers should already be all over this as the vendors have only begun to scratch the surface in terms of how to deploy and go beyond 802.11n." Private sector interest is coming primarily from multi-site operations that want to cut their communications costs, with seaports and marinas of particular interest. Wireless is also finding a ready home in supermarkets, particularly those that need to connect a separate petrol station to their store network. "Analysts who've compared leased line charges to the cost of wireless have found an average 39% to 72% saving over a three-year contract," says Tim Close. "Anybody worth his salt should be doing this."